The adventure begins straight away as the 5 Reels of Adventure Palace Online Slot start spinning. This enchanted Microgaming™ title takes players on a thrilling journey from their Australian homes deep into the jungles of South East Asia. There, beneath the dense canopy of trees, lies a world full of colourful creatures that guard magnificent treasures – lost in the mists of time. This popular Video Slot offers the sort of adventures with real cash rewards. With a lucky spin here or there, any adventurers to this jungle may be leaving with fortunes in their rugsacks. The theme of Adventure Palace, this incredible online pokie, falls in the deep dark jungles of South East Asia as previously mentioned. You will be able to get acquainted with some of the most beautiful animals of India as they grace your slots as symbols. From the majestic tiger to the fun loving mischievous monkey, you will be whisked away to a land of sheer beauty with the Adventure Palace Slot. Adventure Palace is a beautiful pokie brought to you in HD so you can rest assured that your screen will be graced with nothing but the best from this real money online casino game. Adventure Palace is structured on the classic 5-Reel, 9-Payline setup and features a full pack of Wilds, Scatters and Free Spins to keep things moving at a furious pace. There is even an expert Autoplay function which also helps in pursuing those golden winning opportunities that lurk behind every bush and tree. The coin size ranges from AU$0.1 to AU$1.00, and the maximum coin bet is 5 coins per line. Score 5 elephant wild symbols across the reels to win the 10,000 coin jackpot –the equivalent of AU$45 000 on the maximum bet. Aussie players can ride the big grey elephant wild symbol to some huge winning combinations as it substitutes for all other symbols on the reels except for the scatter. Plus, any winning combination that includes the wild symbol will automatically double the payline win. The highly rewarding scatter symbol takes the form of a scenic jungle vista – and with 3, 4 or 5 scatters landing simultaneously, the free spins feature will automatically be activated. This will grant the player 15 free spins and every win made in the free spins feature will automatically be tripled. For base game wins, players can land themselves wins of 10,000 coins for five elephant symbols. Four elephant symbols are also worthwhile, with wins of 2,000 coins. 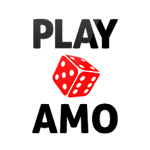 For the truly daring adventurers there is also a Gamble Feature which could see players double or even quadruple their winnings by choosing the correct card colour or suit. 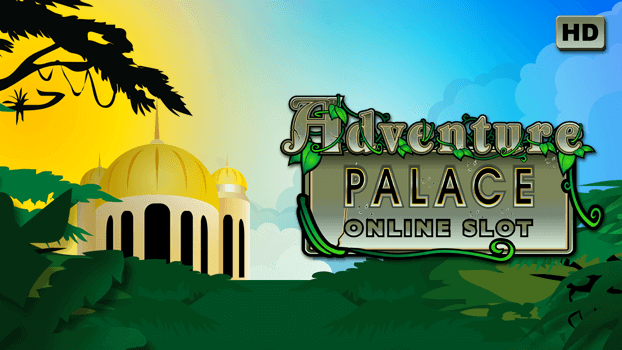 Thematically, Adventure Palace has a light feel with soft graphics in a cartoonish style. The colours on all the symbols and animals are bright and sharp, giving Adventure Palace’s graphics a lively feel that holds the player’s attention with ease, as they find themselves locking eyes with a beautiful tiger. Other exotic wild creatures include apes, peacocks, birds and cobras. And stirring the longing for adventure a little further, a glimpse of a lost palace in the jungle holds the promise of golden treasures.